Robert Landolphi is the culinary development manager at the University of Connecticut in Storrs. He is also known as “The Gluten Free Chef.” At UConn, he has the difficult job of serving students with food allergies, gluten intolerance, and other special dietary needs 3 meals a day, 7 days a week… safely. And he does it extremely well! 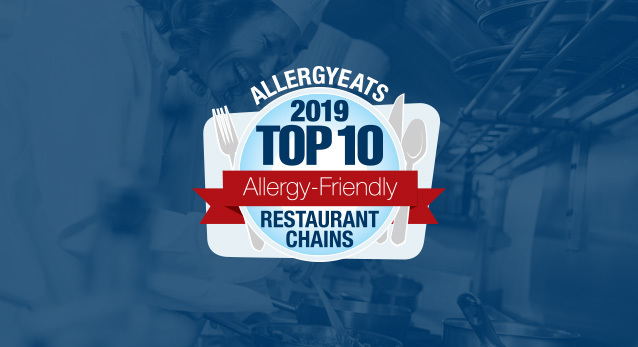 So well, that we at AllergyEats asked Robert to become the first speaker at an AllergyEats Food Allergy Conference for Restaurateurs and Food Service Professionals to focus solely on the college and university market. The conference will be held on 10/21 in New York City, and registrations are still open (through 10/20) at the above conference link. I interviewed Rob for an article in Food Management Magazine entitled, “8 Tips to Becoming More Allergy Friendly.” The editors at Food Management Magazine were kind enough to allow me to reprint the article in its entirely here, though I would strongly suggest those of you interested in the food service business click on over to their site and sign up as a free member, benefitting from their informative and insightful information across the food service industry. The campus dining hall is one of the consummate college experiences, as students convene to eat and socialize, before heading off to class, sports or other activities. But for food-allergic college students, it can be stressful to eat in the communal dining halls. They worry about ingredient lists, food preparation techniques and the possibility of cross-contamination in the kitchen, buffets and on shared tables. 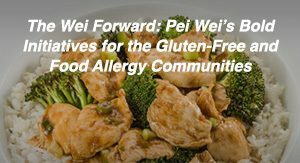 Thankfully, as the prevalence of food allergies and gluten intolerance increases, food allergy awareness, training and education are also on the rise. Foodservice professionals – including restaurateurs, college dining managers and others in on-site foodservice – are learning how to improve communication, avoid cross-contamination, offer substitutions and provide more allergy friendly and gluten free options. But, unlike restaurateurs, university and college dining hall managers have the unique challenge of serving food-allergic student three meals per day, seven days per week. Robert Landolphi, AKA the Gluten Free Chef, is culinary development manager at the University of Connecticut in Storrs, and he has built a best-in-class food allergy protocol for the school’s eight residential campus dining halls. 1. Provide students with information to help them make smart choices. At UConn, the staff is meticulous about sourcing and labeling ingredients, using allergen-free products whenever possible. The kitchen staff knows exactly what ingredients are used in every recipe, and they label the allergens in each dish. If a soy-allergic student is considering a chicken stir-fry option, for instance, they can see at-a-glance if the dish contains soy. 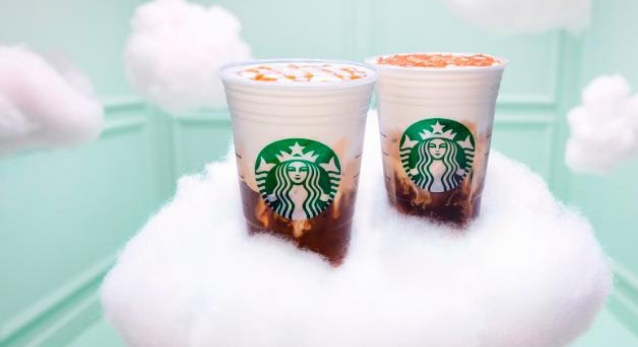 If so, they can request a separate, soy-free version of the dish. UConn also offers a “filter system” online – via a website and a free app – so students can look up any dining hall on campus, review the daily menus and filter out the options that contain their allergens. 2. Give students more control. While UConn does offer some buffet options, they’re offering more cook-to-order stations, a helpful option for food-allergic diners. Students can select their own proteins, vegetables, sauces and other meal elements, including dairy-free sauces, gluten-free tortillas, etc. The school’s protocol is to automatically grab a fresh, clean pan for each student’s made-to-order meal, reducing cross-contamination. 3. Offer training regularly (and often). UConn has 5 ServSafe-certified instructors on staff, offering comprehensive food allergy training to everyone that works in their campus dining halls. Twice a year, Landolphi organizes large training sessions for all kitchen staff – including 40 managers, 150 chefs and assistant chefs and 175 kitchen assistants. Production chefs go through more frequent training, to ensure they’re always mindful of the university’s food allergy procedures. Also, when there’s turnover among the kitchen staff, new team members receive training immediately, ensuring they’re up-to-speed on the university’s rigorous food allergy protocols. “We aim for 90% of our staff to be ServSafe-certified at all times,” Landolphi explained. UConn’s on-staff ServSafe instructors are also the school’s dining hall managers, so they oversee training and also ensure that food allergy practices are followed completely and consistently. 4. Get to know your food-allergic students. Landolphi and his team know many of UConn’s food-allergic students by name, are familiar with each of their specific allergies and happily accommodate them at every meal. They also invite food-allergic students to “phone in” their specific, allergy friendly meal order and specify the time they’ll be visiting the dining hall. Then the staff makes sure their allergy friendly meal is ready when they arrive. 5. Make accommodations to keep food-allergic students safer. UConn can’t officially say they’re a nut-free environment, as the dining halls are open to the public and someone could walk in with a nut-containing product. However, they do have a specific dining hall where peanut and tree-nut products are not served, instead offering nut-free options like sunflower spread. In all other campus dining halls, they serve individual packets of peanut butter, rather than large tubs, to help control cross-contamination. The staff constantly wipes down tables and other surfaces, but they realize that cross-contamination is possible. For example, a student could use a knife to spread peanut butter on his sandwich and put the knife down on the table or touch a doorknob with traces of peanut butter on his hand, thus contaminating those surfaces. Because they have students who are anaphylactic to peanuts and tree nuts, Landolphi and his team make it very clear when they’re serving peanuts or tree nuts in a specific meal, at a specific dining hall, and always provide nut-free options as well. Looking toward the future, UConn is developing an allergy friendly station, which will serve meals without common allergens – including the Big 8, gluten and sesame. This new feature is expected to launch in the next two years. 7. Realize that an increasing number of students have food allergies. Before the 2014-15 school year even started, over 40 incoming food-allergic freshmen had already set up meeting to discuss their special dietary restrictions with UConn’s dining managers. Over the past few years, the most common allergens on the UConn campus have been soy, peanuts, tree nuts and dairy, as well as gluten intolerance. They also have students who have multiple food allergies and intolerances. The UConn dining team makes it as easy as possible for all their students to enjoy delicious, satisfying, nutritious meals that are free of their allergens. 8. 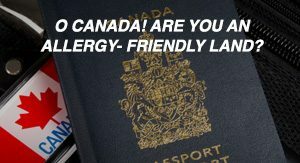 Become allergy friendly, if you aren’t already. Learn how to improve your school’s food-allergy protocols, training and procedures at university workshops, and through training programs like ServSafe and MenuTrinfo. NACUFS is a great resource. Visit colleges that have well-established food-allergy procedures in place, and ask their dining managers about their best practices. Landolphi has found the process of implementing – or improving – food-allergy protocols can sometimes be intimidating, especially for smaller colleges with limited staff and resources. Realize the process of becoming allergy friendly doesn’t need to be overwhelming, complicated or expensive to implement, yet the benefits can be tremendous. 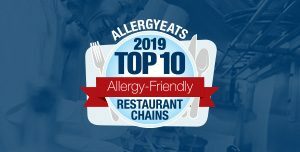 I want to thank Robert for these great tips and express my appreciation that he’ll be speaking at our 3rd Annual AllergyEats Food Allergy Conference for Restaurateurs and Food Service Professionals. 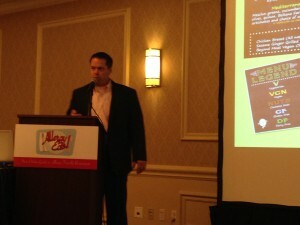 And I want to thank Food Management magazine for letting me publish this piece on the AllergyEats Blog. 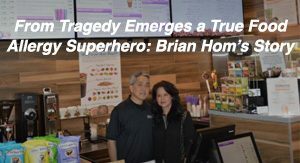 Once again, you can find the interview on their site at this link – and I encourage you to check out all Food Management has to offer. So what are your thoughts on Robert’s tips? What are your own kids’ experiences with food allergies in colleges? Were food allergy accommodations a major factor in your student’s decision about which college he or she would attend? Share your thoughts in the reply box below. Also, don’t forget to visit the core AllergyEats site at www.allergyeats.com or our free app and share your ratings of restaurants you’ve recently dined at. 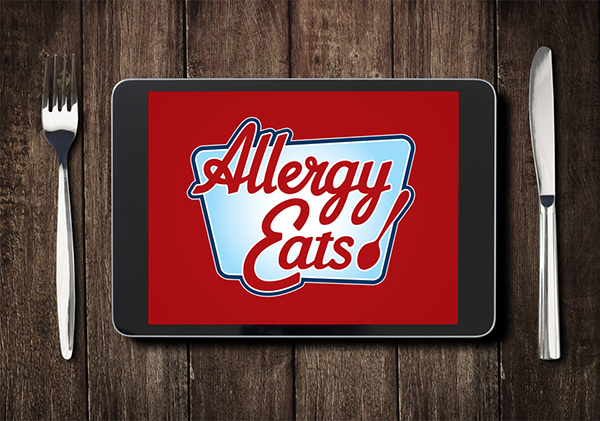 Rating a restaurant takes just a minute – answer 3 multiple choice questions and add an optional comment – and each new rating makes AllergyEats a more valuable tool for our entire food allergy and intolerance community. This brought tears to my eyes … The simple statement that for food allergy students, it’s not a choice but a necessity. Thank you, thank you, thank you! Would that my own daughter’s future college food service staff will be HALF this dedicated! My son is a junior in high school and this is a topic that is very heavy on our minds as we begin our college search. Food safety is my son’s number one question for colleges. From a recruiters view point, I think this should be of concern. Thank you for a great piece! I just shared it with our University of Nevada Reno!